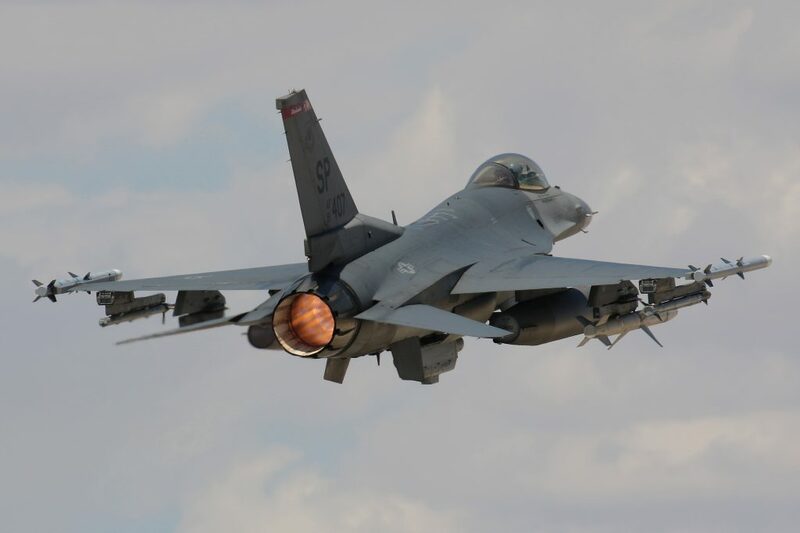 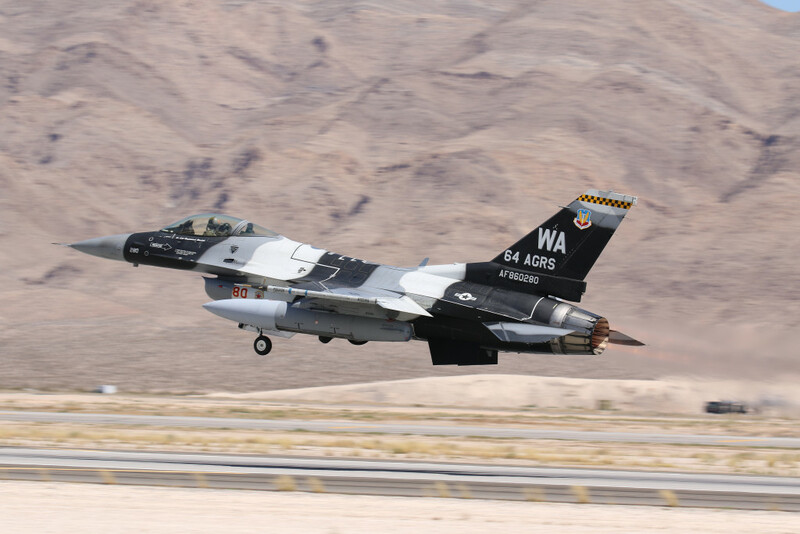 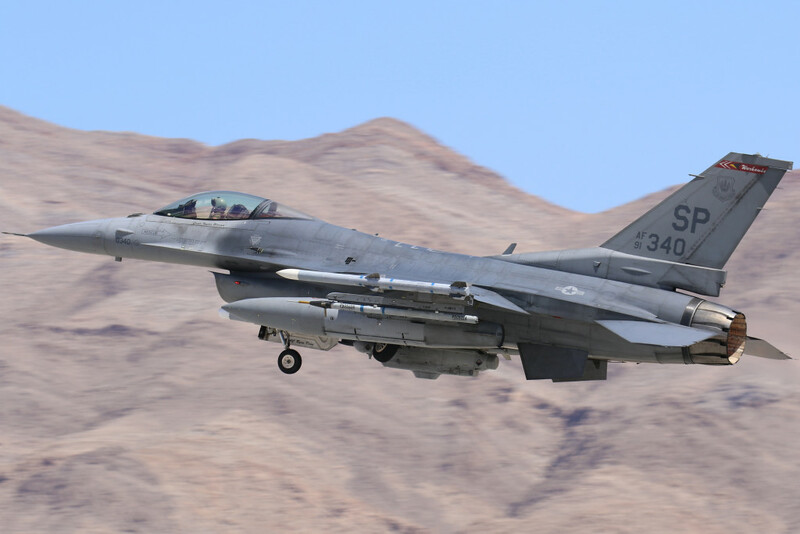 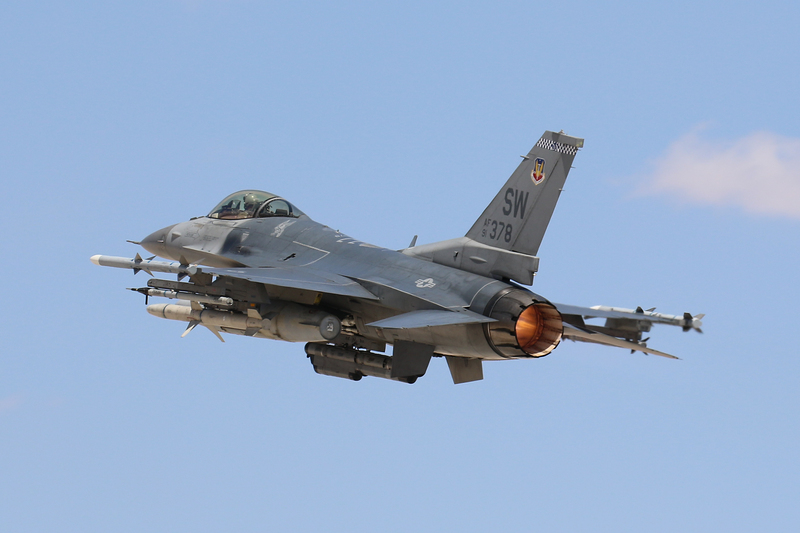 F-16CJ Falcon 91-0365 from the 55FS ‘Fighting Fifty Fifth’ based on Shaw AFB, South Carolina captured during take off for Red Flag 15-3 in July 2015 on Nellis AFB Nevada. 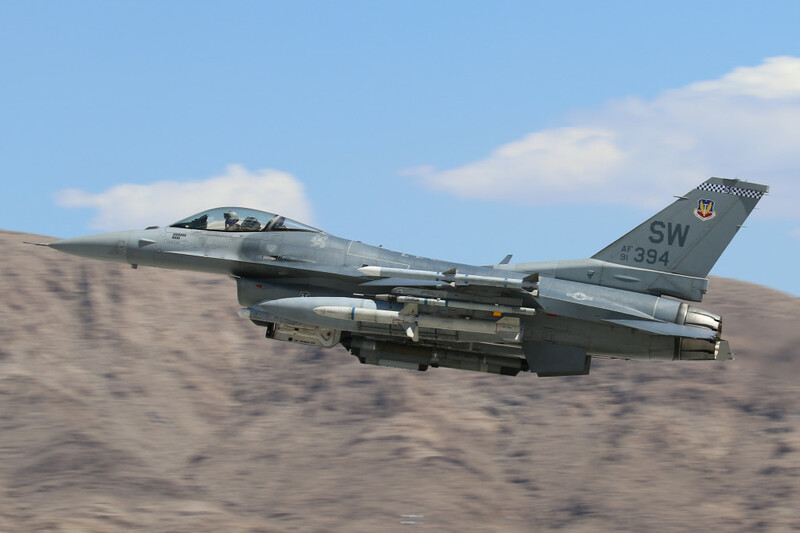 F-16CJ Falcon 9109387from the 55FS “Fightin’ Fifty-Fifth” based on Shaw AFB South Carolina captured during landing after the afternoon mission for Red Flag 15-3 in July 2015 on Nellis AFB Nevada. 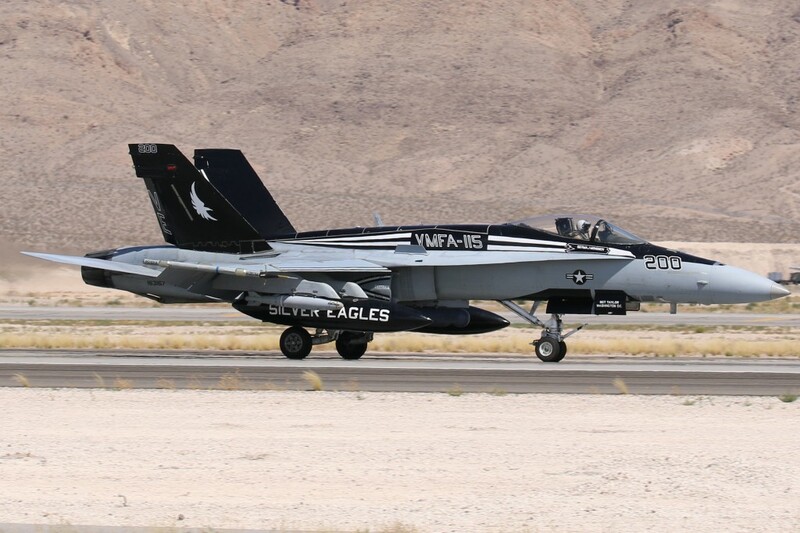 F/A-18C 163167 from VMFA-115 “Silver Eagles” based on MCAS Beaufort, South Carolina captured landing during Red Flag 15-3 July 2015 Nellis AFB, Nevada. 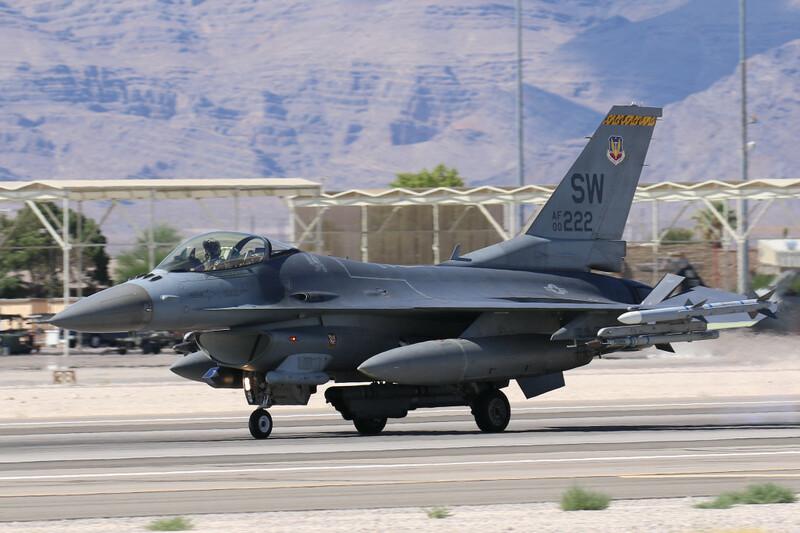 F-16CJ Falcon 00-0222 from the 79FS “Tigers” based on Shaw AFB South Carolina captured during landing after the afternoon mission for Red Flag 15-3 in July 2015 on Nellis AFB Nevada. 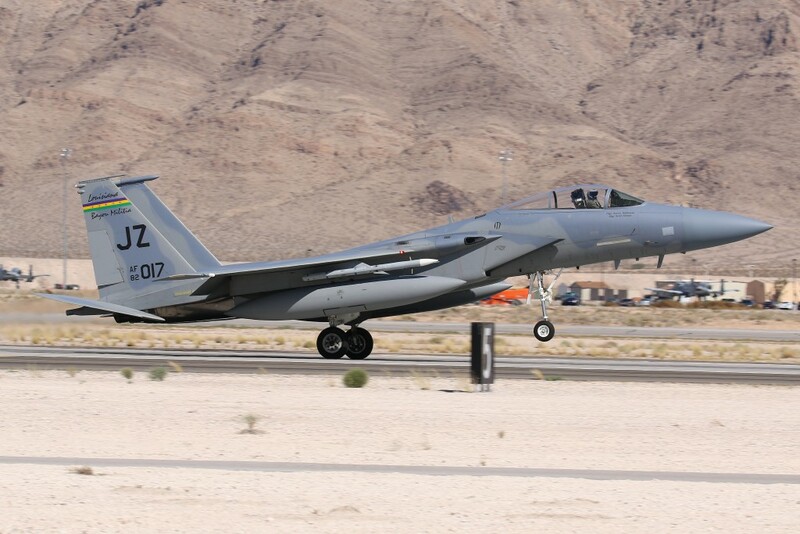 F-15C 82-0017 from the 122FS ‘Belle Chasse’ Louisiana ANG based on NAS New Orléans, Louisiana captured during landing for Red Flag 15-3 in July 2015 on Nellis AFB Nevada. 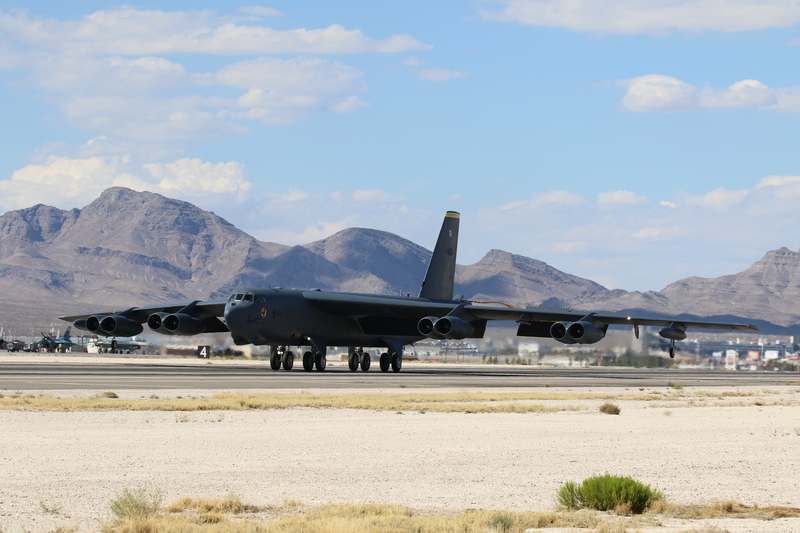 B-52H 60-0001 from the 69BS “Knighthawks” based on Minot AFB, North Dakota. 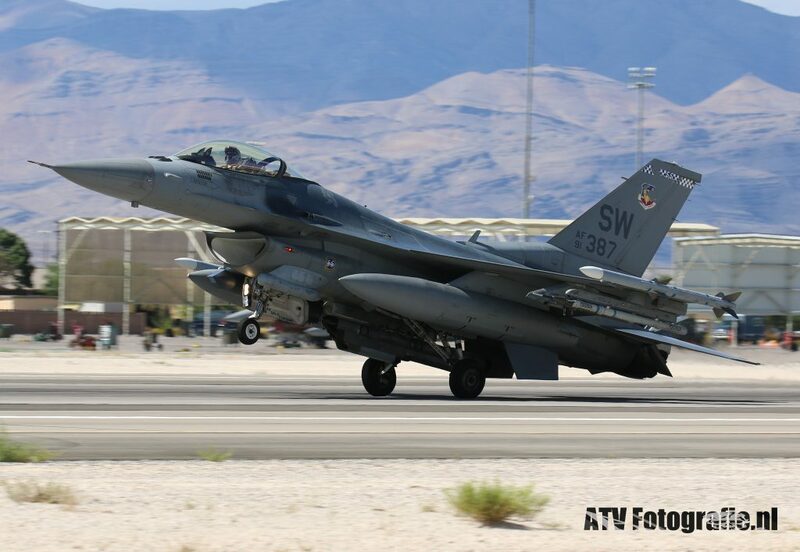 Captured during the landing after a Red Flag mission, July 2015 on Nellis AFB, Nevada. 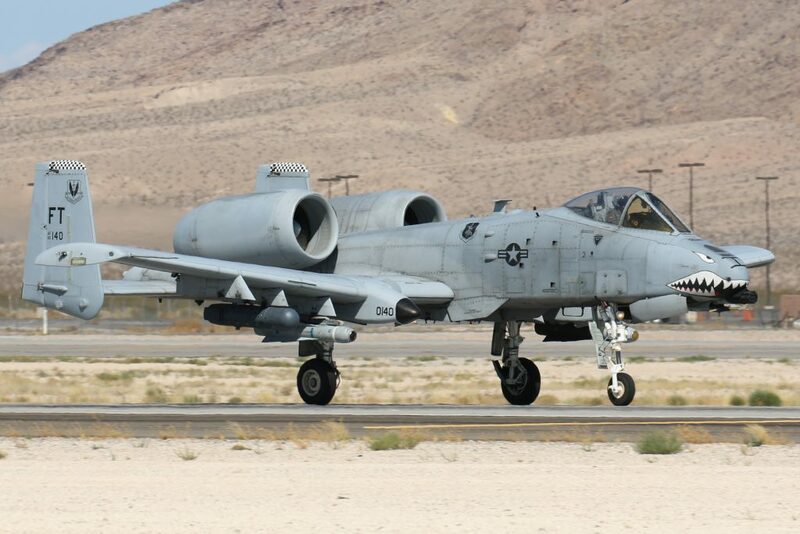 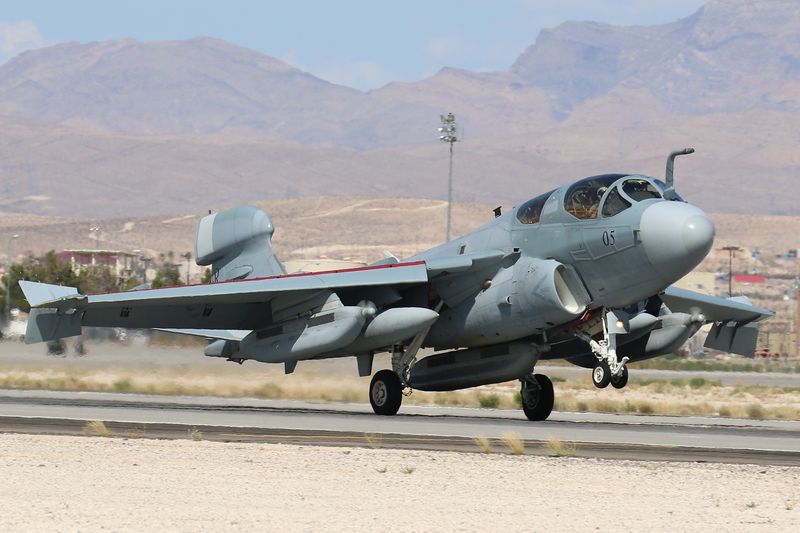 A-10 Thunderbolt II 80-0140 from the 74FS “Flying Tigers” based on Moody AFB Georgia, captured during landing for Red Flag 15-3 in July 2015 on Nellis AFB Nevada. 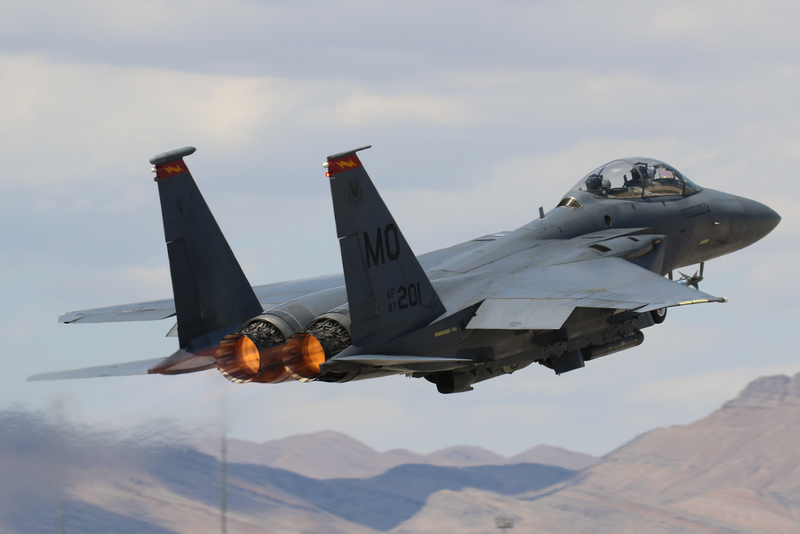 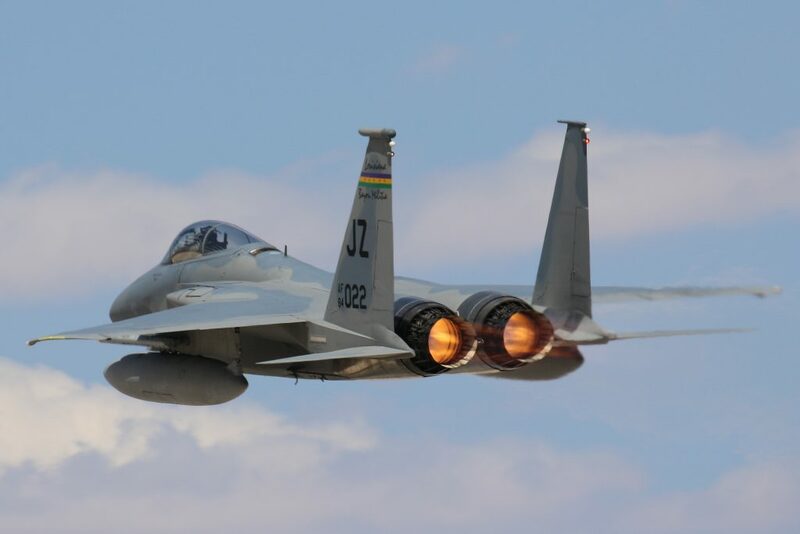 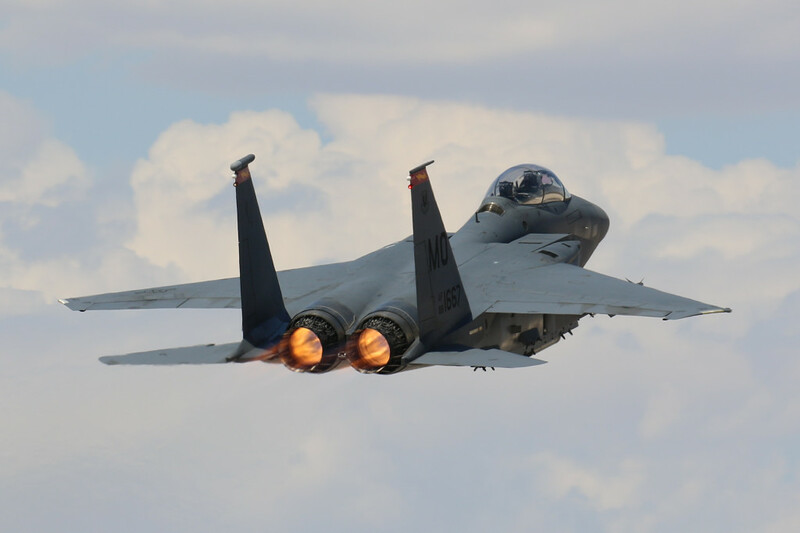 F-15C 84-0022 from the 122FS ‘Belle Chasse’ Louisiana ANG based on NAS New Orléans, Louisiana captured during take-off for Red Flag 15-3 in July 2015 on Nellis AFB Nevada.